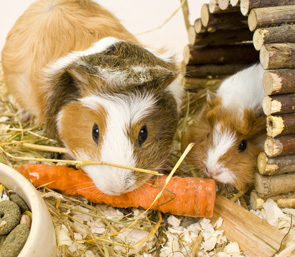 We provide rabbit and guinea pig sitting in Banstead, Belmont, Burgh Heath, Cheam, Chessington, Ewell, Epsom, Epsom Downs, Hook, Morden, Stoneleigh, Sutton and Worcester Park. Our daily small animal feeding visits allows your pet to stay in their usual environment. One of our dedicated pet sitters can come in once or twice a day to feed your pet and provide company. If you have to go away from home our daily small animal visits are ideal if you have a few small pets and would prefer them to stay in their own home environment. We aim to keep your pet’s routine the same and we have noticed that they are content and happy when their Pawgeous Parents return home. Once you have initially contacted us, we will book a FREE initial assessment at a time which is suitable and convenient. This is an opportunity for you and your pet to meet your pet sitter. We will ask you a series of questions to help us complete the job to the best of our ability. Feel free to ask us any questions and if we can’t answer them at the time we will get back to you as soon as we can. We can collect a set of keys at the initial assessment for free, or we can arrange to collect a key nearer to the service start date. Any keys collected/returned after the initial assessment will be charged at £5 for your pet sitter’s time and fuel. You are more than welcome to drop/collect the keys from us. If you and your pet are happy with the initial assessment process then to secure your booking we ask for a 50% non-refundable deposit upfront. The remainder of the balance is then due two weeks prior to the service start date.